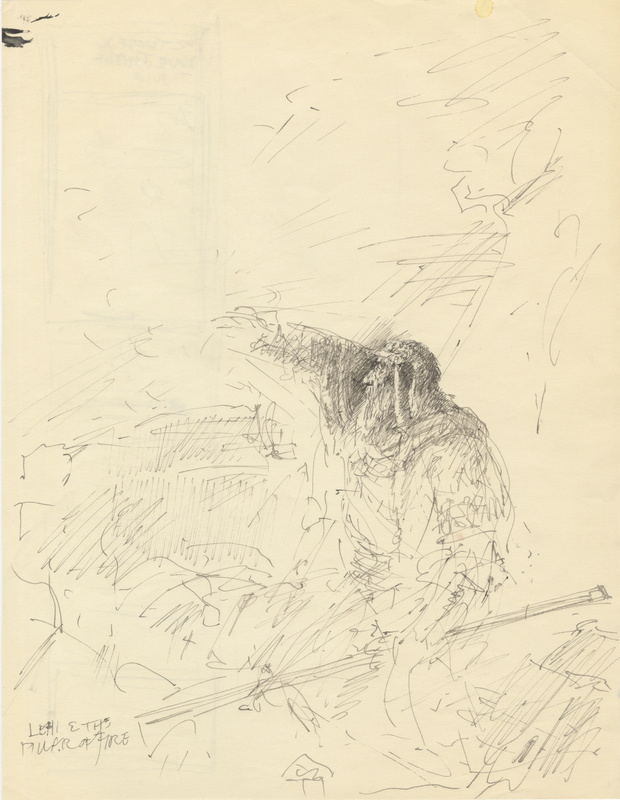 Book of Mormon Central / Archive / Sketch of "Lehi and the Pillar of Fire"
Title Sketch of "Lehi and the Pillar of Fire"
11 x 8 1⁄2 in. Likely the first scene conceptualized by Friberg for his Book of Mormon paintings, this drawing captures the vision known as Lehi and the Pillar of Fire that set Lehi and his children on their path to the promised land. If this was the first, it would have also been the basis for Friberg’s later renditions of Moses and the Burning Bush (1953) used by Cecile B. Demille in staging the famous scene in The Ten Commandments (1956). Although this painting was never fully realized, the composition was adapted for Friberg’s painting The Brother of Jared Sees the Finger of the Lord.